Former national 7s player Josua Tuisova is still considering whether to extend his contract with Toulon rugby club. The 20 year old confirmed to SUNsports yesterday that he has been approached by his club to extend his contract for another three years. “I still want to better my performance for next year and I will see from there,” he said. 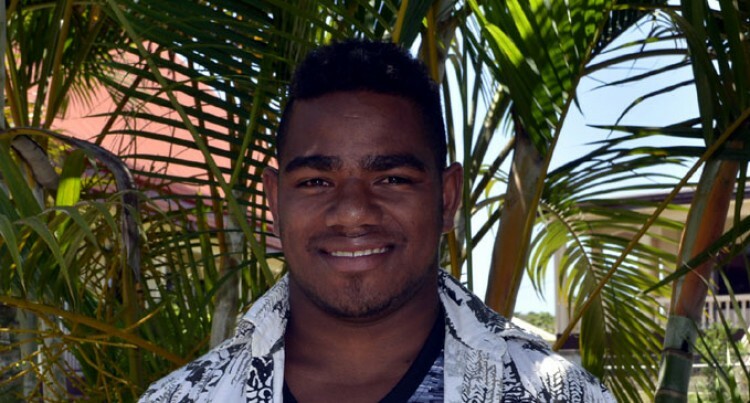 The Votua, Ba native joined RC Toulonnais in April last year signing a four-year contract. Joining the top 14 club Tuisova said that he was very happy with his performance. “I am happy with my performance this year but I still have some areas to work on so I can better my performance come next year,” he said. He is working on joining the Fiji national 15s side for World Cup next year. “It has been my dream to represent my country in rugby and I have done so in 7s but I also would want to do it in 15s if I am given the chance. “At the moment I am trying to work things out with my club and hopefully I will be given the green light to do so,” he said. Tuisova is still trying to adapt to training with world class rugby players in his club. “When I first joined the club it was a bit hard for me since I was the only Fijian and my other Fijian brothers were living far away. “But after some time I got used to it then I came across players like Matt Giteau who I am really honoured to be training with and it still feels like a dream,” he said. Like many Fijian rugby players being homesick can never be cured. “I am very close to my family and being away from them sometimes affects me so I try to contact them through skype and just see how they are doing; even that takes it away for some time. “And I am so grateful to them for their support especially my parents; if it wasn’t for them and God I would not be where I am today,” he said.